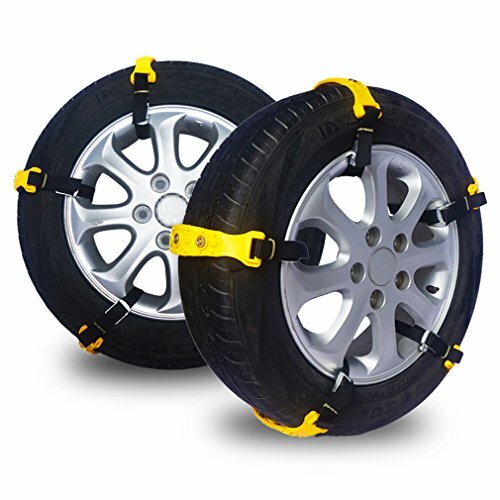 Snow chains also referred to as tire chains, are fitted into a vehicle when driving on snow to enhance maximum traction on its drive wheels. In some cases, you will find some drivers fitting special systems that automatically deploy the chains under the tires. To fit the chains on your automobile, you will need to spread them on an empty car park or road. If your vehicle is front-wheel driven, then the chains go to the front wheel and if rear-wheel driven, the chains go to the rear wheels. Snow chains are sold in pairs but your country’s legal requirements may necessitate putting the chains on more than two wheels. Generally, it is recommended that you drive at the speed of 20 to 30 miles per hour if you are driving on snow using snow chains. Before you head out into the snow, you are well advised to fit your car with the right snow tire chain. Failing to do so is putting your safety at risk. Below are a few tips to help you pick the right snow chain for your car. 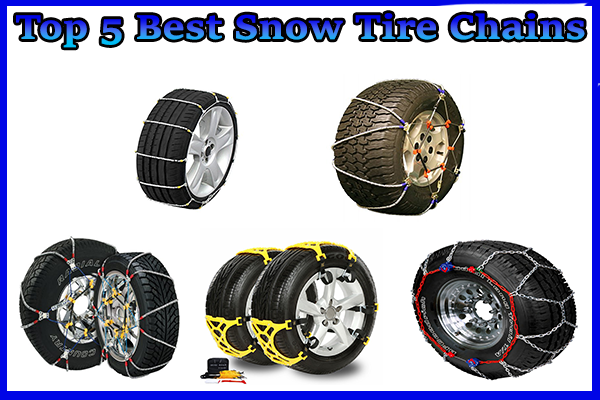 Know your car’s tire size – Snow chains are sold in sizes and each tire has its right fit. Before you buy the chain, ensure that it has been made for your tire size. Cable Chains – Most common and easy to fix although expensive. Ladder Chains – Made using an old design, but are very effective. Diamond Chains – Popular with people driving long distances over the snow. They use metal strands that interlock in a diamond pattern. Zigzag Patterned Chains – These are commonly used on vehicles with traction control e.g. antilock brakes. Check whether the chain is broken – You will need to ensure that your newly bought chain is not broken or loose. Driving with a loose chain beats the purpose of having the chain. Practice installing – Using the manual that comes with the chains, you will need to practice your hand at installing the chains way before you head into the snow. If fitting the chain you’ve bought is too difficult for you, then you need to buy another type. These are produced by the Security Chain Company and are designed for the pickups, SUVs and other passenger cars. Minimal Clearance – The chains require minimal operational clearance on the drive tires. You do not have to move the car to install them. The Super Z6 only needs 6mm or 0.25 inches sidewall clearing. This is about half what other chains require. Rubber Tighteners – The chains come complete with tighteners that ensure you don’t stop every now and then to fasten the chains to the tires. Compatibility – The chains are compatible with other vehicle functionalities such as all-wheel drive, traction control, electronic monitoring systems and anti-lock brakes. Speed Limits – Before you start driving, you need to confirm that the chains are properly fitted and even then, you should not exceed the speed of 30mph. Cornering and braking will be better if you make use of all four wheels. The Package – This chain features an adjustable SUV chain for emergencies. 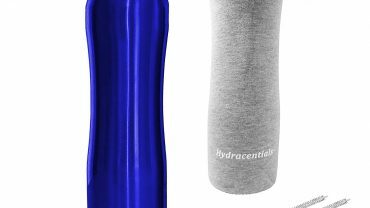 It comes complete with a shovel, gloves and the anti-slip chain for cars, trucks, and SUVs. 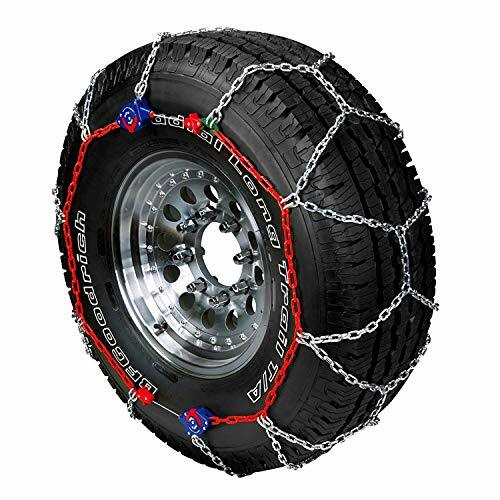 Models – Any tire that measures 6.5 inches to 10.4 inches (165mm to 265mm) can use the universal anti-snow chain. It comes with a money back guarantee so that if you are not satisfied with the chain you can always return it at no cost. Quality Features – The chain features a 100% rubber-gum material that is resistant to low temperatures of up to minus 50 degrees Celsius. At the point where it gets into contact with the ground, the chain features an alloy nail that prevents a 360 degrees slipperiness. Installation – You can install the chain and remove it without moving the vehicle. 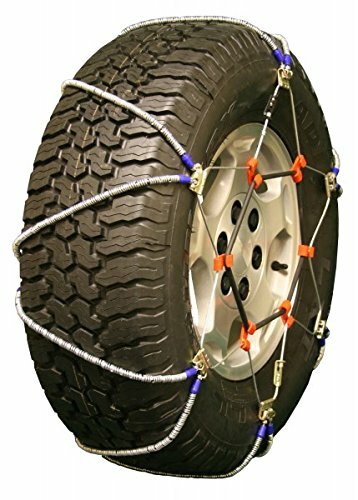 This ensures that you will never be trapped in cold weather and all manner of bad terrain when trying to install the chain. Design – The chain is made with alloy steel for maximum performance when braking. 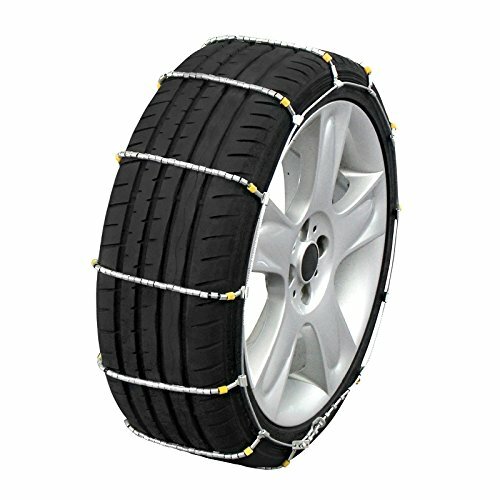 It has great anti-skidding and ice gripping features such as the alloy nail. Automatic Tightening – This chain comes with self-tightening ratchets that automatically tighten the chain around the wheel when it becomes lose. The ratchets also ensure that the chain is properly centered on the wheel. Diamond Pattern – The chain comes in a diamond pattern that ensures a smooth ride and maximum traction. The diamond pattern fits well into the grooves of the tire to reduce the bumpy feel when a chain is fastened around the drive wheels. Low Carbon Steel Rollers – These low profile steel rollers are very tough and thus increase the traction, reduce the noise when the tire hits the road, and mitigate the vibration caused by the chain running on the road. Minimal Clearance Needed – If you have a small car, then you know how hard it can get to install the chains. With the cobra cable chain, you need very small clearance. All you need is the original equipment tires which feature high tread to be able to fit the chain on the tire. Galvanized Steel – To mitigate the effects of rust, the steel on the chain is not only galvanized but also comes packed in an airtight plastic box for better storage when not in use. 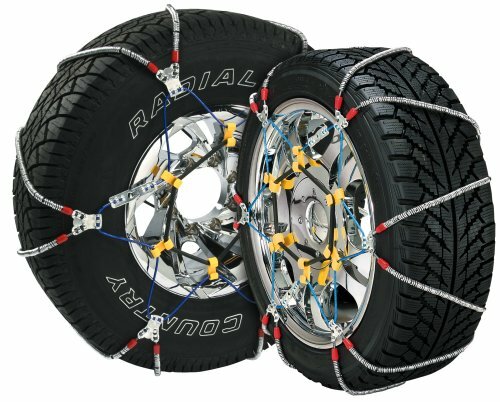 Cable Style Make – Unlike the ladder style makes of some other chains, this chain fits horizontally on the truck’s drive wheels. It is built for larger vehicles with traction challenges on the snow. Cross Cables – The cross cables, made of alloy rollers, assume a diagonal orientation on the wheel, thereby reducing the vibration when the wheel hit the tarmac. Rubber Adjusters – The chain comes packed with rubber adjusters to help you tighten the chain around the wheels.